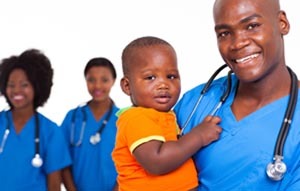 Reuben R. – MedHospAfrica-Kenya, Tanzania, Africa Medical Importers Directory. Posted on July 5, 2018 July 5, 2018 by Reuben R.
The Kenyan administration has allocated funds towards building new modern dental and eye facilities in referral hospitals in the nation. This is an initiative of President Uhuru Kenyatta who has mandated these centers to be completed within a 12 month period. The president further revealed that his government will set aside Sh300 million for each hospital including prominent facilities like Kenyatta National and others, speaking at the inauguration of a new Sh275 million ultra-modern Dental and Eye Center. 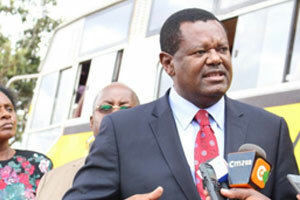 “I have seen what less than Sh300 million can do to uplift the lives of Kenyans. 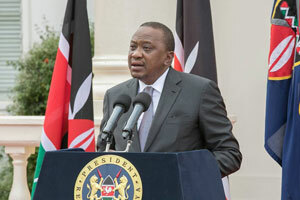 I want to see similar facilities at Kenyatta, Moi, Nyeri and Mombasa [hospitals],” Uhuru said on Wednesday. Kenyatta also went on to re-iterate his commitment towards achieving Universal Healthcare, which has been a very crucial part of his ‘Big Four’ agenda. He said that the role of the county governments will be of vital in its achievement. Deputy President, William Ruto also added saying that every sector is going to be mobilized and will play a role in the transformation of Kenya. “The transformation of Kenya will not happen if we do not mobilise every resource and every sector – NGOs, religious organisations and the public sector – so that we can push the transformation of our country under the agenda four items,” he said. Posted on June 22, 2018 June 22, 2018 by Reuben R.
The Kenyan Administration has begun inspections of health facilities as they prepare to deploy their universal healthcare program. Governor Jackson Mandago spoke yesterday said that the inspection would be the necessary first step before they can proceed with their Universal Healthcare objective. 121 Healthcare Centers and staff will be inspected as part of the process. “The assessment will assist us even as we prepare to roll out our universal healthcare. We have to make sure we have a full report on maternal and child care so that we can optimise human resources,” said Mandago. The governor went on to reveal that the administration has sought the assistance of 50 medical experts from various institutions from around the nation to conduct these inspections. The specialists will come from several top Medical establishments such as Moi University, Maseno, Kenya Medical Training College and Moi teaching and Referral Hospital and others. 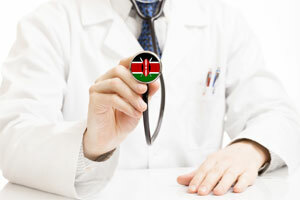 “We hope to be among the first counties to successfully implement universal healthcare. At the end of the audit, I will be able to share it with my fellow governors so that they can also adopt it. We want to be leaders in championing the Government’s Big Four agenda,” said Mandago. Evelyne Rotich, County Health Minister said that a comprehensive inspection will be overseen by the government. The objective of the inspection will be to find gaps in the Kenyan Healthcare system and plug them. They are ready to assess and give us a report that we will work on. At the moment, as a department we have received blessings from the governor and we are looking forward to know the status of our facilities,” said Rotich. Dr Faith Yego, the team leader, said they would be using an assessment tool that has been developed and validated through facilitation from the Health ministry and World Bank. 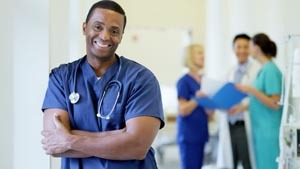 A new Kenyan Medical Training College (KMTC) Campus is in the works in the Mukurweni Constituency and is expected to be ready by September next year. Phillip Kaloki made a statement confirming the same after visiting the 10-acre space reserved for the college. He was joined by Mukurweini Constituency MP, Mr. Anthony Kiai and planning executive Daniel Kwai. This move comes in response to the country’s growing need for medical products and infrastructure. “This will be the third KMTC campus in the county and we hope it will be completed by September next year so we can have our first intake. 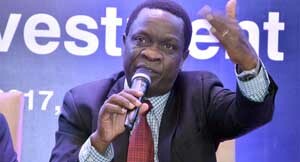 This will improve health services,” Kaloki said yesterday. This project will mark KMTC’s 66th campus in Kenya. It has been an initiative of the Mukurweini MP and the county government, who will be stakeholders in the project. Mr. Kiai revealed that the Constituency Development Fund will contribute Sh20 million towards expenses. “There will be an initial seed capital of Sh20 million from CDF. Other than land, county government has also pledged an additional Sh20 million as we start construction works,” he said. Kwai said. The Mukurweini Central Ward has also given its full backing to the project as it is expected to generate a significant number of jobs in the area. The College will be expected to enroll around 200 students initially across a variety of programmes like nursing, orthopedics, pediatrics etc. “We hope to grow the campus until it has a population of up to 1000 students. We will continue to be keen on quality considering 85 per cent of health professionals in Kenya have trained at KMTC,” Kaloki said. Two other campuses are under construction in Kirinyaga and Narok. There are plans to ensure each county has a KMTC campus. 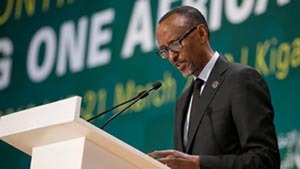 Posted on June 5, 2018 June 5, 2018 by Reuben R.
Paul Kagame, President of Rwanda, has said that Rwanda has witnessed its all time low in maternal and child mortality rates. Community-based health insurance, good external partnerships and community health workers are responsible for decline in the numbers. Rwanda has been increasing its network exponentially in terms of community health workers and volunteers in villages. This is evidently helping with the rural development as medical facilities are not reaching rural part of Rwanda more efficiently. Kagame claims, close to 90% of Rwandans are currently enrolled in health insurance. Rwandan government subsidizes only one-third of the cost with contributions from beneficiaries taking care of the remaining two-thirds. President emphasized on universal health coverage, says, it is possible for countries and all income levels. It is rather an opportunity and WHO (world health organization) is supporting this as well. He added that, while advocating more funding to be channeled towards achieving UHC by 2030, he urged increased training and employment in the health workforce. The radiologist, Ernest Wandera, Kakamega Level 5 hospital, said that the 64- slice new imaging technology will change medical diagnosis with its new capability to pick out several ailments. This equipment help image the moving body part and captures it at once. Body parts like the heart are constantly moving and it gets very difficult to capture them at once and hence figuring out the problem becomes a difficult task altogether. “It is just like different smartphones having varying features even though at the very basic definition, they are both phones,” says Mr Wandera, who sees an average 15 patients a day. He is one of the 800 radiologists selected for training in a Kenya- China medical equipment partnership. Earlier, through the old technology it was required to push the dye through a needle, which was very risky. However, now this upgraded technology has made things a lot easier increasing the speed of operations and enabling better coverage while imaging. Apart from this, another addition is the contrast agency pump which can push dyes into patient’s blood vessels. The machine is expected to be generated with UPS (uninterrupted power supply) unit and a standby generator. Magnetic Resonance Imaging (MRI) equipment that has been installed over the past four years are used to scan through flesh, and widely used to detect tumors. Posted on May 18, 2018 May 18, 2018 by Reuben R.
Pharmaceutical Company Sanofi have recently inaugurated their regional office in Nairobi to co-ordinate and dictate all its activities in Kenya and its neighboring countries of Uganda, Tanzania and Ethiopia. Sanofi has been very involved in East Africa’s medical sphere of late and has been a chief supplier of medical products and vaccines in the East African market. 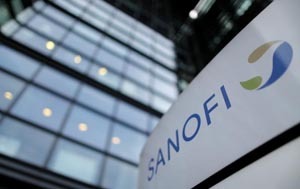 “Establishing a regional office in Kenya is a strong vote of confidence by Sanofi on its investment intent for the region,” Peter Munyasi, general manager of Sanofi for East Africa said. Sanofi’s efforts in Kenya have been focused on managing diabetes and thrombosis. The company oversaw the launch of a new drug for diabetes just last month. The drug-manufacturers however are only one of a number of French companies trying to grow their influence in the markets of East Africa. Kim Ramoneda, the deputy head of mission charge d’affaire at the French embassy revealed that 100 companies have set-up local offices in Kenya that shows the amount of serious interest the market is attracting presently. Ms. Ramoneda believes that this interest stems from the nation’s status a regional hub in East Africa and its potential to grow even further. This potential has led many multinational companies from developed western countries like the UK and the United States to flock to Kenya and other parts of the region. Other firms that have established branches in Kenya of late include names like Bechtel and General Electric. Posted on May 17, 2018 May 17, 2018 by Reuben R.
The National Assembly was informed of the allocation of 30bn/- for the purpose of the bettering health delivery services in the districts of Simiyu, Njombe, Mara and Katavi earlier this week. The funds have been released by the Ministry of Health, Community Development, Gender, Elderly and Children and will be one of their highest priorities this term. Dr Faustine Ndugulile, the Deputy Minister said that these funds will be used to purchase ambulances and will be distributed in the hospitals of the vicinity to support a growing dmand for medical services and medical products. While speaking about the investment Dr Ndugulile said that the goal of this activity was to uplift the districts of Itilima and Busega and have them the standards of other health facilities in Kenya. He also said that construction work is focused mainly on the Outpatient Department (OPD). At least 1.2bn/- has been allocated to improve infrastructures in the districts,” he told the National Assembly. He further added that some 525 m/- was allocated for Ikindilo health centre infrastructure and 450 m/- for Nasa Health centre in Itilima and Busega respectively. “We also allocated 240 m/- to improve infrastructure in eight dispensaries where each will get 30 m/-,” he said. He announced that during the Financial Year 2018/19, the government has allocated 1.5bn/- for the two districts to improve health infrastructures. Posted on May 1, 2018 May 1, 2018 by Reuben R.
A group of 38 interested investors including big names like Suma JKT, Africables and Reginald Mengi have earmarked the Tanzanian pharmaceutical sector for investments worth approximately 1 trillion in Medical trade. Ms. Ummy Mwalimu, the Minister for Health, Community Development, Gender, Elderly and Children has expressed her delight at the news and reserved special praise for President Magufuli for his efforts in attracting such volume of investment into the nation’s pharmaceutical sector. There remains a huge demand for both the import and export of medicine and medical supplies in Tanzania today. The nations spends a sum of 1 trillion on the annual import of drugs and medical supplies. This new investment will be a major boost for the economy and will reduce drug prices substantially while creating a large number of job opportunities in the process. Mr. Charles Mwijage, Minister of Industry, Trade and Investment has said that good health will be of prime importance to the administration if they are to achieve the goals laid out in ‘Vision 2025’. The minister also spoke about how the set-up of factories domestically will help the country relieve some of the pressure on bulk exports and reduce prices for the common citizen. . “We need a strong Tanzanian private sector, we therefore encourage our people to grab the opportunity… the government is working on regulatory reforms to eradicate existing challenges and already the one stop centre is in place,” said Mr Mwijage. He also revealed that all pharmaceutical entities setting shop in the nation will also have to partner with think tanks for the betterment of the industry. He was quoted saying “Among things needed to put up a factory is technology, capital and market as for the market you already have 1.3trl/- as reference. 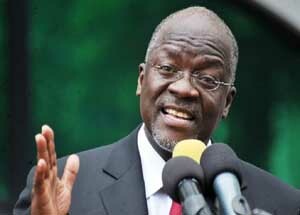 We have been informed here of tax exemption incentives of up to 100 per cent on machinery and other things,” he said. The Chairman of the Pharmaceutical Society of Tanzania (PST), Mr Ramadhani Madabida said to procure drugs abroad is politically untenable, socially undesirable and economic unviable. Mr Madabida noted some of the challenges as market access, advising the government to consider the possibilities of paying for locally produced medicines in advance due to financial weakness of the industries. Tanzania is set to become a major attraction for medical tourism amongst neighboring East African countries and abroad after a major announcement was made about the adoption of a cancer screening technology called Positron Emmision Tomography (PET Scan) was announced. This technology is not available in other parts of the region and according to Minister for Health, Community Development, Gender, Elderly and Children, Ms Ummy Mwalimu, patients in need of this tech can now avail it in Tanzania instead of being referred to India and other distant countries. “The government has allocated 14.5bn/- during the coming financial year to purchase the equipment which will be installed at the Ocean Road Cancer Institute,” Ms Mwalimu announced at a media event. She also rallied for the private sector to get more involved in the nation’s health sector and urged the administration to encourage the private sector by establishing a new incentive program. Tanzania health sector has progressed incredibly over recent years with invasive procedures like heart surgeries and transplants being performed within the country at the Jakaya Kikwete Cardiac Institute (JKCI). 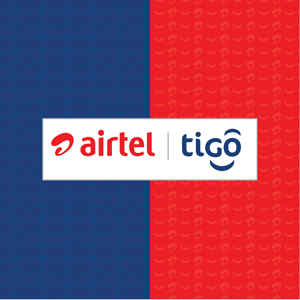 Airtel-Tigo Rwanda has joined hands with Radiant Insurance Company to bring a new digital insurance product to the public called Ingoboka Cash. This new service is expected to boost the current medical insurance services present in the nation. The product represents a major step in the goal to digitalize the insurance sector. Ingoboka Cash has revealed two models, both developed for airtel money subscribers. These two plans are segmented based on usage. These variants are Ingoboka Cash y’ubuntu and Ingoboka Cash yishyuwe. The product will only be eligible to those subscribed to Airtel money and these individuals will be provided with acess to Rwf 4000 on a daily basis to support their medical needs. But this will be based on the condition that the said customer has used a minimum amount worth Rwf 1000 in the previous month. Phillip Amoateng, Airtel-Tigo Rwanda’s new Managing Director said in a statement that the product was designed specifically with the goal of digitalization of the insurance sector in Rwanda. It is a commitment we have dedicated to the health and welfare of our customers, Amoateng noted adding that Ingoboka Cash is expected to further boost the uptake of insurance products in the country. The executive secretary of Rwanda Insurers Association (ASSAR), Jean Pierre Majoro has the impact and the role of innovative products such as these and has credited them for the improved reach of the medical insurance sector. Kibe Waringa, the Country Director highlighted the importance of the players in the sector to accept digital solutions as it has proved an influential tool in market penetration on a global scale. “We therefore believe digitization of insurance products and services will rapidly deliver appropriate solutions for the low-income people to mitigate risks and improve livelihoods in Rwanda,” he said. The partnership between Access to Finance Rwanda, Inclusivity Solutions, Airtel and Radiant Insurance is yet another solution designed to disrupt the insurance market by accelerating the insurance penetration in the country.